Bolton Abbey is a ruined abbey on the country estate of the Duke of Devonshire and features the ruins of a former 12th century priory overlooking the River Wharfe to the south of the Yorkshire Dales. 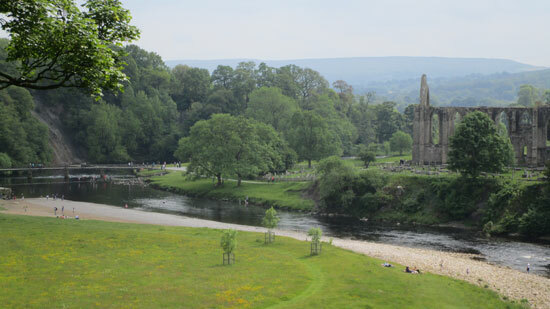 There are acres of parkland for visitors on the Duke of Devonshire's estate surrounding Bolton priory, a shallow river with stepping stones that children love to cross, places for picnics, scenic walks with waterfalls, gift shops, four car parks and tea shop. 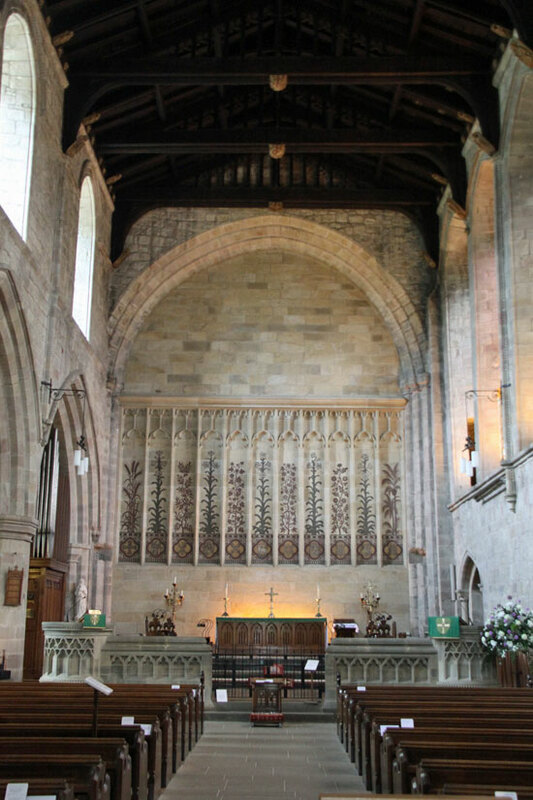 It's just off the A59 between Harrogate and Skipton in Skipton-on-Swale and a great place for a family day out. Only visitors parking cars have a fee to pay, visitors on foot or bicycles are welcome free. The low cost of visiting plus the large expanse of beautiful countryside with a river that is shallow enough in many parts for paddling makes it most attractive for families. 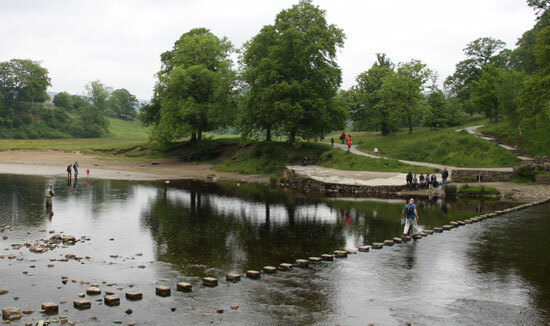 Walkers will want to know that the 'Dales Way' passes through Bolton Abbey on the route through Ilkley, then Wharfedale to Sedbergh through the Yorkshire Dales National Park, over the Pennines and then on to Bowness on Windermere in the Lake District. You may not have time to undertake the full length of this walk but it's always nice to walk part of it and the views are stunning. 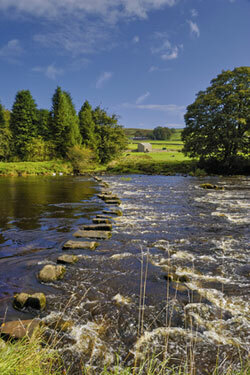 Angling is permitted on the river Wharfe at Bolton Abbey with a licence. The simple but lovely church attached to the abbey is still very much alive and in use.